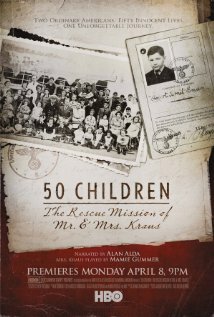 50 Children: The Rescue Mission of Mr. and Mrs. Kraus | MarcoCo. In our original discussions about the score, we were prepared to take an acoustic, orchestral approach. When I started doing mockups of thematic material in this way, we realized that a larger symphonic sound would go against the singular, very personal aspect of both the Krausʼs mission and the familiesʼ emotions. What resulted is a score written primarily for piano and string quartet. I drew inspiration from many sources, among them early 20th century composers like Shostakovich, Bartok, and Dvorak, giants in post romantic small string ensemble writing.